Following along with traffic seems to be a little difficult for some. There was another wrong-way car accident on the Massachusetts Turnpike that wound up killing two innocent motorists, according to the Boston Globe. Massachusetts State Police (MSP) report a 35-year-old driver was spotted driving east down the westbound lanes of the busy roadway. The accident happened in Palmer just before 4:00 p.m. One of the witnesses called police and said that a driver, who was initially traveling in the right direction, made a U-turn and started heading down the wrong way on the Turnpike. The driver has been arrested and is now being charged with operating under the influence of alcohol. Our Boston car accident lawyers understand that there was an 84-year-old man who was busted for driving the wrong way down the same road just a week ago. In this incident, the wrong-way driver and the driver of a vehicle he hit were killed. We hear about these accidents all too often. It seems like it’s every driver for themselves out there! For the most part, the Massachusetts Turnpike is a relatively safe road, until there are driver on it. Still, there are a number of deficiencies on this road. One of the most obvious of these deficiencies is the placement of the EZ-Pass/Fast Lane and the tolls. Along the Boston Extension, many say that the lack of safe shoulders is a big problem! Others note the median guardrails are getting too old and we need to move to more concrete barriers (or Jersey barriers) to help to increase safety. The congestion on this roadway can definitely cause problems, too. This is especially true when traveling during rush hour, the weekend and during season. Some of this congestion could easily be eliminated with the extension of exit-only lanes, officials say. With a few minor changes, we may have fewer accidents on this road, like the 4-vehicle accident that happened recently in Warren at mile marker 72.5. This was the accident that involved that big tractor-trailer. After the collision, all westbound lanes were shut down. It happened just after 10:00 p.m., according to Mass Live. There were emergency response teams, firefighters and police officers who responded to the accident. Drivers are asked to be on their best behavior when traveling along our busy Massachusetts roadways. 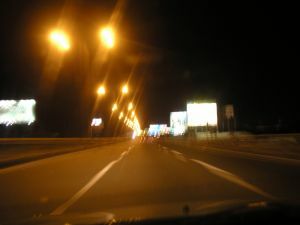 The fast-moving traffic increases risks for accidents. Keep an eye on the posted speed limits and adjust your driving to accommodate the current weather and traffic conditions. Stay alert and keep distractions out of the driver’s seat! One of the most important things you can do is to make sure that everyone in your vehicle is buckled in at all times. Seat belts may be your best defense against injury and death in the event of an accident. We understand not all accidents are avoidable, but make sure that you’re protected at all times. If you or a loved one has been injured in a car accident, contact the Law Offices of Jeffrey S. Glassman for a free and confidential consultation to discuss your case. Call 1-877-617-5333 today!